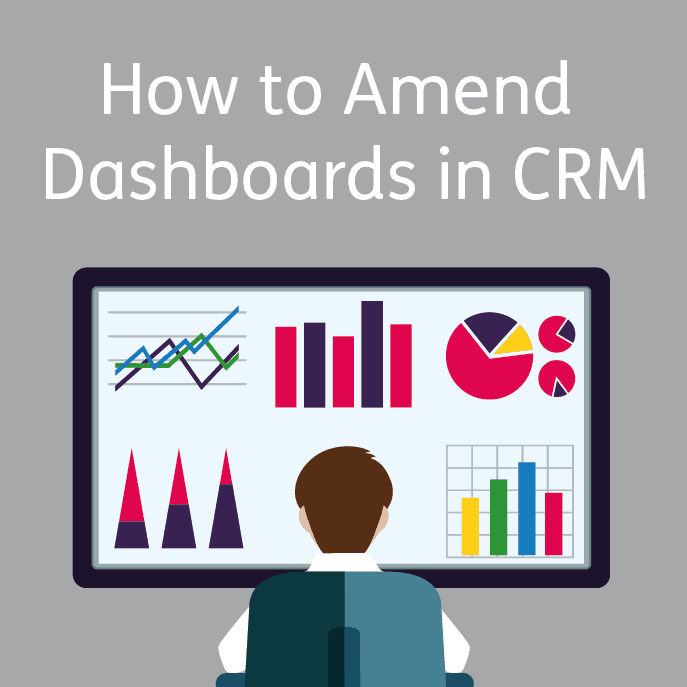 CRM Dashboards can be incredibly useful to all kinds of CRM users. Whether you like to control cases, look after leads or even just see what you have on your calendar. Sage CRM allows you to design your dashboard to bring through the most important information that you need, all in one easy to navigate page. During the course of these guides, we will go through how to not only customise the look of our dashboard, but also how to create handy gadgets which will allow us to pull through all the necessary data to them. Please be aware that you may need to be a System Administrator to complete all the steps in this guide, if you aren’t, you may be limited in what you can create for your dashboard. So first of all, what exactly is a dashboard? Well a dashboard is likely the first thing you’ll see when you log in to Sage CRM. In the above screenshot is the Welcome Dashboard that comes as standard with the program. Here you will find some useful guides and videos on how to navigate your way around CRM. If you’re very new to the system, you may want to give ‘The Basic’ links a look over. There are four ‘windows’ that you will see straight away, called ‘FAQ’ ‘ Getting Help’ ‘Feedback’ and the other is ‘Videos.’ These windows are called ‘Gadgets.’ Granted they are not quite the suave and sophisticated ones Mr Bond would use, but they’re just as useful! Gadgets are windows which are used to display information from CRM, whether it be your calendar, Cases, Leads etc. We’ll get in to the finer details of these later, but for now, lets take a look at how we can move them around and resize them so you can make your dashboard as easy to use and useful as possible. In order to customise the CRM Dashboard we must enter the modify gadgets mode. Follow the screenshots below. You will notice that each of the Gadgets have a number of buttons in the top right hand corner of them. Let’s take a look at what each of them does. 2) Enable/Disable re sizing and dragging – Exactly what it says on the tin, allows you to move and re-size the gadget. To actually re-size the gadget, you need to hover over the bottom right hand corner and you will see a double headed arrow appear, this will allow you to enlarge or shrink the window. 3) Minimise – Surprisingly, this minimises the gadget, handy if you have quite a lot going on on the screen and need to create a bit more space for the time being without actually removing it. 4) Maximise – Makes the window much bigger, allowing you to view more data quickly, without have to re-size any of the gadgets. Very useful if you have a lot of information in one window and want to quickly browse through it. 5) Close – Removes the gadget, so please be careful when using this! You will have to re add the gadget again if you remove it. Which may be a painstaking process depending on the amount of information you were pulling through from it. So there we have our very first, straightforward session on Dashboards. We will go into much more depth in the following guides, explaining what we can put into our gadgets and the like. Looking to invest in a CRM? Click here for a free, no obligation Sage CRM demo! Mark is the newest member of the itas support team. He has a background in accounting and loves problem solving, he also loves a challenge and wants to push himself wherever he can. Mark has a variety of skills at his disposal, ranging from stock valuation techniques to making the best coffee in the office. He is always looking to learn and wants to improve his abilities all the time, he also loves to help others and make them laugh at the same time. When he isn’t helping others, Mark loves to socialise and watch sports, cheering for the green and white army of Celtic!